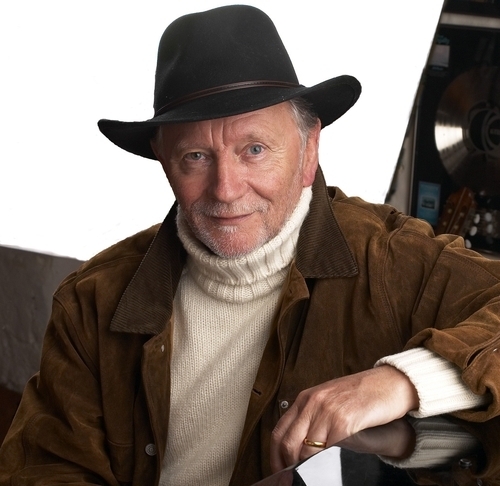 Phil Coulter, the County Derry-born songwriter and musician, is something of a busy individual these days. For a man who has witnessed his songs recorded by Elvis Presley and Sinead O’Connor, produced material by Van Morrison, and written dozens of chart-topping singles and albums in Ireland and the UK, one would think that he’d done enough to perhaps, sit back and rest upon his achievements for a time. Seemingly not, for Mr. Coulter, the man who wrote classic songs such as his ode to Derry, ‘The Town I Loved So Well’, the tear-jerking ballad about a son with Down’s Syndrome, ‘Scorn Not His Simplicity’, and the Irish rugby team’s anthem, ‘Ireland’s Call’, 2008 could well be one of his biggest years to date. With the release of a new CD (‘Timeless Tranquility’) and DVD (‘Tranquility Classics’), both on Shanachie Entertainment, Coulter is also to embark upon his first US tour in seven years, as well as star as the music director for the eagerly-anticipated PBS special, ‘Celtic Thunder’, the all-male follow-up to the hugely successful ‘Celtic Woman’ extravaganza, which is to tour the US later this year. Despite this seemingly hectic schedule, Mr. Coulter took a little time out to chat with The Irish Examiner prior to his trip to the US. Mike Fitz (MF): You grew up in a house filled with music, was there any one point where you decided that music was where your future would lie? Phil Coulter (PC): Well, neither of my folks were professional. My dad played the fiddle, jigs and reels, and mum played the piano, normally in a different key, both of them enjoyed it though! Whenever there was a big night in Derry as kids, it was normally at our house! MF: Can you remember the first time you heard somebody else perform a song which you’d written? PC: I can, but I can also remember hearing a truck driver singing one of my songs! The Capital Showband, the lead singer was Butch Moore. For rag week at university, someone wanted to write a student song. I was the man, and wrote it, a pal recorded it in our little makeshift studio, it was a great time. Butch then went on to sing ‘Foolin’ Time’, and I thought things couldn’t get any better. Then when I wrote ‘Puppet On A String’, I was driving in London, and got stuck in traffic. The song had been number one in the charts and when I heard a truck driver whistling it, I wanted to jump out of the car and shout ‘I wrote that!’ You never forget that. MF: How do you feel about the current Irish music scene? PC: There are fads and fashions, but good songs always sustain. If there are no good songs coming through, then the music business is in bad shape. There are enough good people in the Irish scene, a new breed of songwriter, some of whom are particularly good. I hope that they can extend their appeal outside Ireland. You can do the circuit in Ireland, but Irish acts need to find success in the UK, US and Europe, outside the comfort zone. I think Ireland has always come up with songwriters. Real songs, with longevity. If a song stays important for forty years, then it’s a real song. Songwriters such as Jimmy Kennedy (Omagh-born writer of dozens of popular hits) and Van Morrison, Phil Lynnott, the U2 boys, and a handful of (the most recent generation of singers) such as Damien Rice, and David Gray, even though he’s not Irish, we discovered him first! A lot of people inherited a talent, it’s in our genes. Ireland is full of talented people, if you’ve got talent, that’s an obligation to work at it. Talent itself isn’t going to buy you success, learn your craft, some Irish people fall down, because of the hard work. MF: You wrote, ‘Ireland’s Call’, the now famous Irish rugby anthem, can you tell me what goes through your mind when hearing that sung by sixty thousand fans at a match? PC: It’s one of those things you can’t qualify in dollars and cents. Some songs were successful, and I’d my fair share of high-selling songs. Others though, can’t really compare. Like ‘The Town I Loved So Well’, hearing it at protest marches, or other highly charged songs. You get it that this is more than just a pop song. When Bill Clinton came to Derry, who would have thought that he’d specifically ask me to perform (that song). It was just one of those moments, you’d never have thought of it growing up. ‘Ireland’s Call’ was never at any stage meant to replace ‘Amhrain na bhFiann’. It was thought that (the rugby team) needed a sporting song, a song in a rugby context, which could be sung by supporters and players from both sides of the border. I was flattered to be asked to write it. After I finished the song, there was opposition, there always will be. In the early days, there was opposition, conspiracy theorists who felt we wanted ‘Amhrain na bhFiann’ out. On the day we beat Ireland at Croker (Croke Park), there was a respectful silence during the English anthem, then for ‘Ireland’s Call’, the place erupted. The begrudgers were put in their place that day. MF: You’ve a TV special to be aired on American screens coming up, can you tell me something about that? PC: Well, it was a pretty massive undertaking, particularly creatively. It took most of last year, and most my energies, to create. It came about when Sharon Browne, the creator of ‘Celtic Woman’, contacted me. We’d been friends for a long time, and have worked together before. She talked with me about getting involved with ‘Celtic Woman’, and I had no interest in that. It really wasn’t my cup of tea, I’d thought that the whole Celtic thing was all over, but that goes to show how much I know! She talked to me about a PBS project, one that would involve guys, something of a male special. I thought it’d be like a ‘Celtic Woman’ in trousers, so I said count me out! But (I told her that) if it were to be a really masculine and dynamic (idea) with five real guys, real men, singing a range of dramatic, authentic, powerful, irresistible songs about all the things a Celtic man should be, then I’m your man. MF: Tell us about how you decided upon who to cast for ‘Celtic Thunder’. PC: We searched for unknown people. We had open auditions, which is a really tough way of casting, and held them in Dublin. They seemed to attract every headbanger and lounge lizard, I often felt like we should have been calling the Gardai! We wound up with some very strong personalities. We’ve Damien McGinty, a 14-year-old from Derry, Keith Harkan, a 21-year-old from Donegal. He looks like a movie star, the camera loves this kid, he’s also a very good singer and guitarist. Then there’s Ryan Kelly, from Tyrone, he’s a Queens University graduate, and is passionate about his music. There’s Dubliner Paul Byrom, an exciting young tenor, and George Donaldson (40), he’s a big guy, looks like a security type, he’s been singing for many years. We’ve a 50-city tour of the US starting in October, and we’ll include many old songs and some new material, there’ll be something for everyone. MF: What about your own US tour, your first such venture in several years? PC: Yes, it’s my first in six years. I’ve been talking about it for eighteen months or more. I’m really looking forward to it. It wasn’t a conscious decision to avoid America, it’s just that with other writing, television work etc, a year became two years, and so on.